If we select a MBE we can see the diferent actions like diagnostics, general settings of the MBE, create or select an API or configure notifications. An API is just a REST web service that we will expose through an MBE. 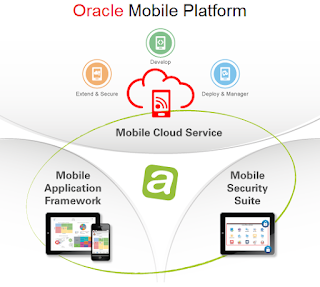 In MCS you use REST to consume as it provides better performance for mobile applications. We can import a RAML file or design our API with the tool. While defining the design of the API we can create the endpoints, add security, etc. We can also create our API implementation using node.js and test our API with mock data. It is possible to export out API design to a RAML file and our implementation as a zip file. At the moment connectors allow us to integrate an existing REST or SOAP web service in MCS. We can add the documents such us pictures, pdf documents or videos to MCS in shared o isolated mode that our applications will use. Last but not least we have user and roles management. 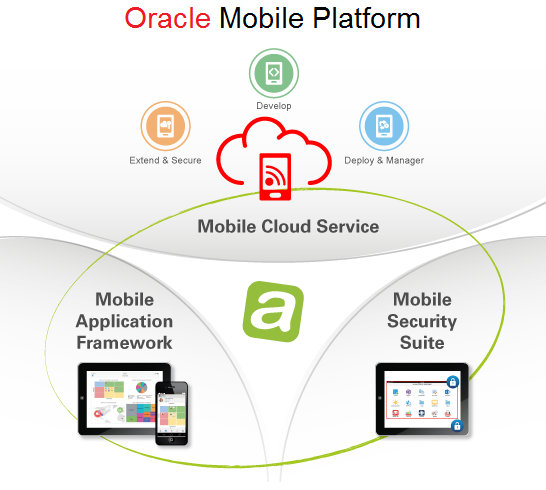 Although in the application there are some tutorials to learn how to use the tool, Oracle product Management Team has available some youtube videos so everyone can learn in depth what is Oracle Mobile Cloud Service and how to use it.